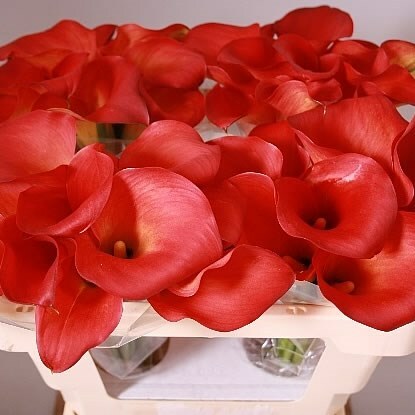 Calla Lily Rina (zantedeschia) is a Red / Orange cut flower. It is approx. 60cm & wholesaled in Batches of 10 stems. Very popular for contemporary floristry and wedding flowers.